A SPANISH NATIONAL who “risked his life” to get money for his sick mother by smuggling cannabis resin hidden inside his body has been jailed for 18 months. Garda Tanya Shinkins said that Gerardo Martinez Rodriguez (34) had swallowed 107 pellets of cannabis resin over a number of days before travelling to Ireland. Gardaí escorted him to Beaumont Hospital in Dublin shortly after arrest for fear the drugs would rupture his insides. Rodriguez, of Abda Alyeaguara in southern Spain, pleaded guilty at Dublin Circuit Criminal Court to possessing and importing 1029.9g of cannabis resin worth €6,179 at Dublin Airport Terminal 2 on July 24, 2015. He has no previous convictions. Garda Shinkins told Antonia Boyle BL, prosecuting, that Rodriguez took nine hours to pass the pellets after admitting he had drugs concealed internally. The garda agreed with Cathal McGreal BL, defending, that his client made admissions when customs officers stopped him on arrival into Ireland. She further agreed Rodriguez co-operated, entered early guilty pleas and told gardaí he had committed the crime to help his mother. Mr McGreal submitted to Judge Patrick McCartan that the amount of cannabis resin was worth more in this country than in Spain. He said Rodriguez had been without a job for the past three years in an area where unemployment was high. 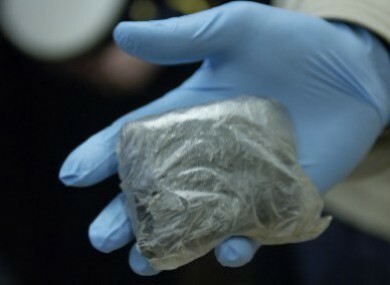 Counsel said his client had planned to make €1,000 from selling the drugs and intended to give this to his mother. “He risked his life by concealing the drugs”, McGreal submitted. He added that this risk was “disproportionate” to the value of the cannabis resin. Judge McCartan commended the Dublin Airport customs officials for stopping Rodriguez. The judge said while he appreciated there had been an “explanation of desperation” for Rodriguez’s actions, “there are many other ways of making money other than breaking the law”. He imposed an 18-month sentence backdated to when Rodriguez entered custody in April this year. Email “Man 'risked his life' by swallowing cannabis pellets to get money for his sick mum”. Feedback on “Man 'risked his life' by swallowing cannabis pellets to get money for his sick mum”.